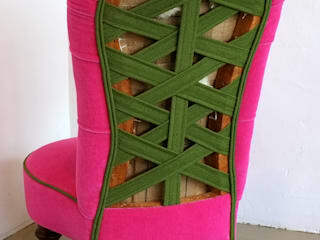 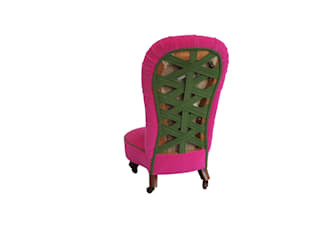 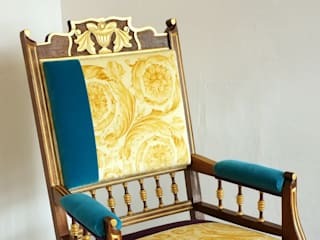 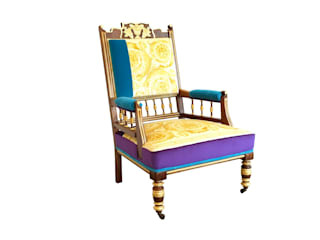 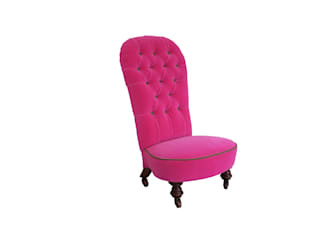 "Upholstery is an art that allows us to interpret the potential in every day life. 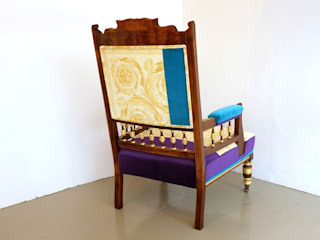 We love the challenge of looking at any unwanted furniture and thinking of something amazing to make with it!" 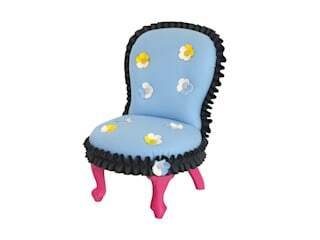 The partnership includes Andrea Simonutti, upholsterer and Patrizia Sottile, architect and artist. 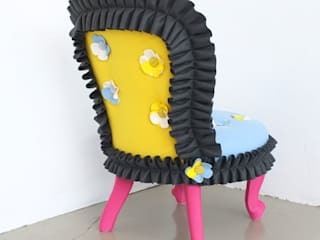 Their work explores the multiple aspects of upholstery materials and techniques. 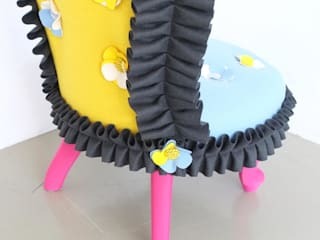 They are using remnants of fabrics as well as collaborating with textile designers to create sculptural and vibrant pieces for a big variety of clients in UK.